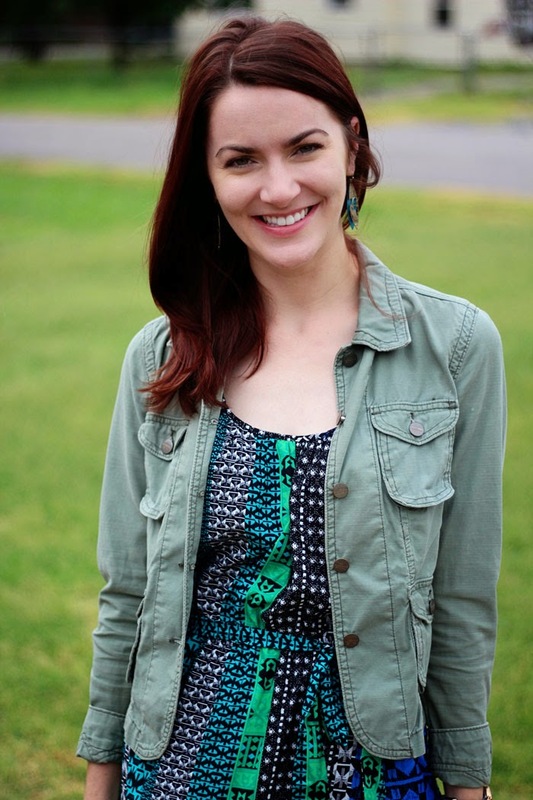 Can I just take a minute really quickly to comment on how wonderful maxi dresses are? Guys, I'm obsessed. They are lightweight, comfy, look fancy and best of all, they keep me from having to shave my legs. It's basically a mini victory every time I put one on in the morning. Pretty maxi dress. Love the colors. Nice jacket too! Great dress, I love the print. I've yet to find a maxi dress that I think suits me, but I'll keep looking! You are seriously GORGEOUS my dear! 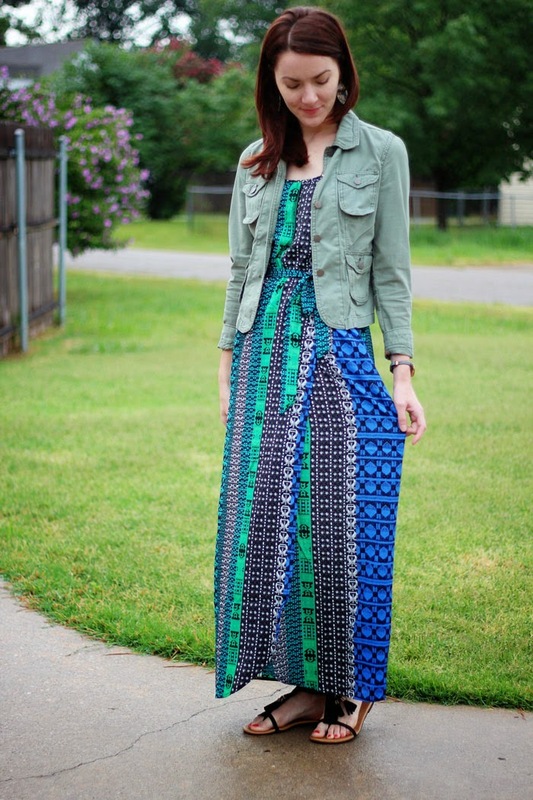 That maxi layered with the jacket looks perfect! 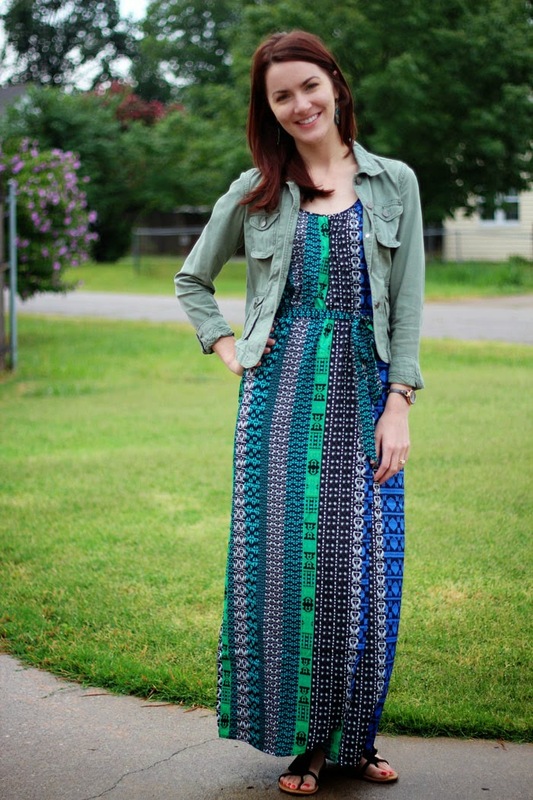 I love a good maxi! i love maxis, too! great for my "feeling fat" days! love it paired here with your utility jacket. First of all - love this dress!! Such a great dress! Love the color combo, you look great! So glad you bought that dress for your birthday! It looks great with the jacket, too. Happy belated birthday. :) And it looks like I need to make a trip to F21 - that dress is so cute! Great dress -- can't believe it's f21! Looks great. I'm a sucker for maxis! I want more!!!! They make me feel so feminine yet I feel like I'm wearing pajamas.... Annddd... Totally agree with the shaving of the legs! LOL!!!!!! So pretty! I just found the greatest skirt at F21 the other day...that store is so hit or miss but it feels awesome when you find something you love there. 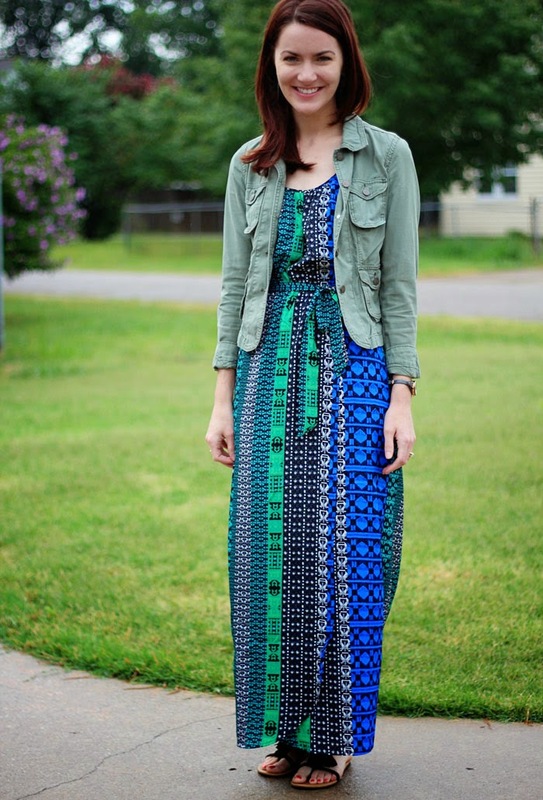 Your maxi dress is adorable - love those blues and greens together. Definitely one of my favorite combinations :) Love that you admitted you don't have to shave your legs! Shaving is the only thing I hate about summer -- isn't that awful? Day in, day out. Ugghhh. Lovely simple look! Loving the maxi on you - I don't pull them off as well as you, that's for sure! Ashley, even I am a big fan of maxi dresses! 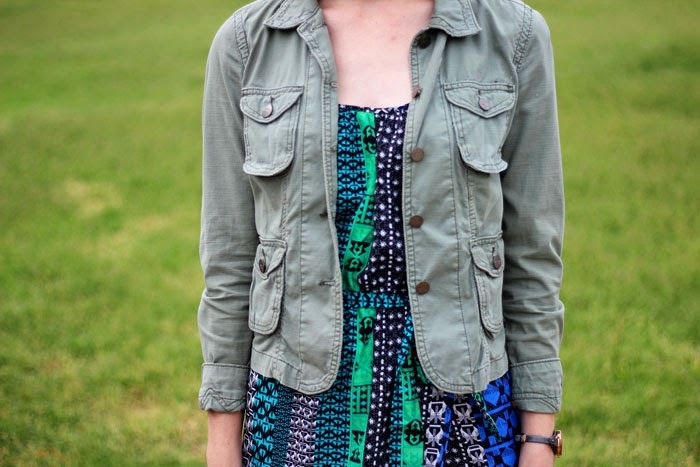 Love your printed one and combining it with the jacket gives it a boho vibe!